A few years ago I was invited to write the first OpEd piece of my life by the Venezuelan newspaper El Globo. I was in graduate school at the time, immersed in trying to understand economics, and so I wrote a little piece reflecting what seemed to me a self-evident truth: that industrial policies are the pits. The title of the piece, “El mito de la política industrial,” gave it away. Many of you might be wondering: política industrial? What is that? ¿Con qué se come eso? Industrial policy is a catch-all term for any policy in which the government decides to support a particular industry. Let me give you an example. When a goverment decides to spend more money on research and development and technological advancement, they could do it in the generic way: open a public tender for all disciplines, and those deemed most worthy get the funds. The result is that you get funding for many different fields: a bit for engineers, some more for doctors, and a bone or two thrown to anthropologists, etc. However, if the government decides it wants to prioritize, say, green energy, or research in the oil industry, that means the government is picking an industry and deciding to support it. That is industrial policy. It can take many forms. Whenever the government actively supports research in particular areas, gives tax breaks to certain firms in certain industries, hands out subsidies, sets up tariffs, or even becomes the owner of a state-owned firm on the basis of its industry being “crucial,” that is also industrial policy. Industrial policy has a terrible history in Latin America. During the 50, 60s, and 70s, Latin American governments decided the government needed to support this or that industry deemed “strategic,” and we ended up with a bunch of decrepit airlines, factories, steel mills, and other “white elephants” that couldn’t compete in the global marketplace. During the 90s, I echoed the conventional wisdom of the time, that this was a mistake that could not be repeated. Caldera was President at the time, and our brief experiment with market economics was a receding mirage. As people talked up the idea of a “strategic” approach to development, I tried to write about how it would be a terrible idea, about how the market should be the one deciding what companies survive and which ones don’t. Otherwise, you end up with companies such as Sidor – full of conflict, and downright unviable. Well, I’ve come around on this topic. During the last few years, I’ve become interested in finding out more about the Asian experience. By all accounts, these events constitute some of the most dramatic development experiences humankind has ever witnessed. We need to understand them more. As it happens, you simply cannot explain East Asian development without understanding the role of industrial policy. In Joe Studwell’s encyclopedic book “How Asia Works,” there is an explanation of the history of the Korean powerhouse steel producer Posco. South Korea, a nation with few natural resources, decided long ago it wanted to become a world-class steel manufacturer. Thanks to generous subsidies, a massive infusion of capital, and other incentives, Posco became a global player in this industry. The company was privatized, and it now sells $60 billion per year. It is Korea’s third-largest company. How did they do it? Why is Posco a world-class company, while our Sidor is practically bankrupt? The quick explanation is: they’re Koreans, we’re Venezuelans. Or worse, Sidor is governed by chavistas. But while true, that is also the lazy, unsatisfying explanation. Humans are humans, and we all respond to incentives. The key, according to the literature, is that a company like Posco was helped as long as it complied with two goals: it generated technology, and it proved to be competitive in the global marketplace. If it failed on either of these two counts, there was a credible threat that support for the company would be pulled. This is the key to the Korean experience. Think of it this way: when was the last time any owner of Sidor, public or private, demanded that continued support for the company be accompanied by growth in export markets? Have you ever heard of Sidor engaging in research and development? When was the last time Sidor expanded into a different business line? Sidor, like many of our state-owned companies, was born out of a need to satisfy local demand. Yet selling for the Venezuelan market does not create viable companies – our local market is too volatile, too protected from market forces. The political situation in Guayana is incredibly volatile. 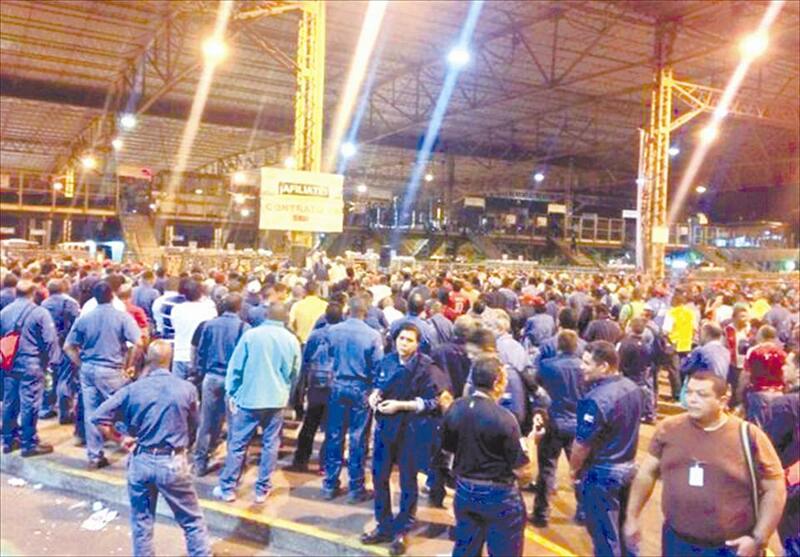 Sidor employees have been striking for days, and the government has repressed them heavily. The company is, by all accounts, bankrupt. Is there a solution to this mess? Privatization is not an option, because it is politically unviable. And the government cannot afford to continue throwing money at the problem indefinitely. There are two alternatives for Sidor: either shut it down completely, or engage in “smart” industrial policy, of the type that saw Posco succeed. The first option is incredibly painful for the people of Guayana. Moreover, doesn’t it make sense for Venezuela to have a large-scale steel producer? After all, we’ve been producing steel for more than forty years, and we have the raw material. Does it make sense to give up altogether? On paper, at least, Sidor makes more sense than Posco does. The second option is the one we have never tried. Give Sidor a fresh infusion of cash, but set clear performance benchmarks for continued support. Make sure the workers know this. Change the top management, slim the company down, focus on innovation and cost controls, and make sure that everyone knows this is the last train out of Dodge. The Korean government used Japanese war reparations to finance the construction of Posco’s steel mills. It also let the workers know what was at stake, reminding them every day through loudspeakers of how it would be shameful if they did not give their best effort to make the company succeed. Sidor is probably going to remain in the government’s hands. But if we’re going to have a state-owned steel maker, we should probably do things right. Do what you can to appease the workers, and then make sure they understand it’s now or never … that they will be judged by how well the company does overseas. If this is not a viable option, then by all means let the company go under. It would be a shame if this were to happen, but the workers would only have themselves to blame.